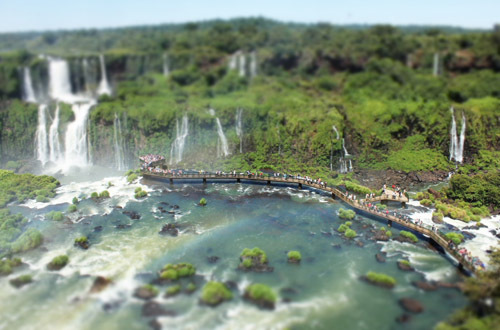 One of the world\'s largest waterfalls, the Iguacu Falls (Portugese spelling) extend over 2700m in a horseshoe shape on the Iguazu River on the border between the Argentine Province of Misiones and the Brazilian state ofÂ ParanÃ¡. Â The surrounding National Parks are home to hundreds of rare and endangered species of flora and fauna. Â There are 275 cascades and visitors can walk around the catwalk trails. Â There are two basic circuits - Â an upper path and a lower path. Â The lower path leads to the base of the falls, where you may wish to take in a boat ride. Â From the upper path you have panoramic views for a truly unforgettable experience. 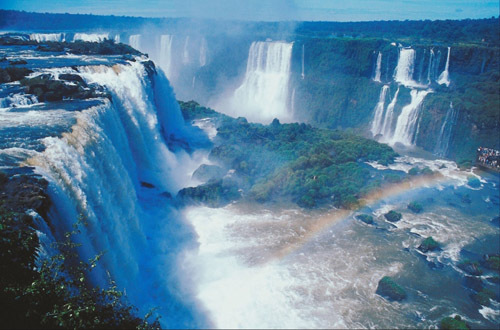 Visitors on the Brazilian side may also experience the falls from the thrill of a helicopter ride. 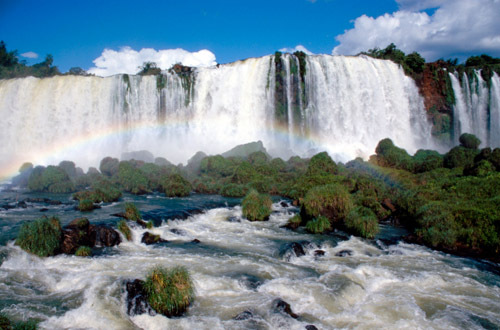 January to March is the rainy season and the best time to visit Iguazu. Â The average temperature in winter is 15ÂºC and in summer is 30ÂºC. Â The climate is humid throughout the year. Carry light, comfortable extraÂ clothes and wear good walking shoes. Â Don\'t forgetÂ to take mosquito repellent.